Many of us fly for a living, while others are either considering the airborne life or have pulled the trigger and are building their credentials toward that end. It doesn’t matter if you’re final destination is an airline, a crop dusting operation, flight instruction, or something else. Everyone’s ultimate goal is happiness, isn’t it? It’s worth considering, then, how you keep the grind of work flying from destroying your love of being aloft. Think it can’t happen? Read a few of the more popular pilot forums on the Web. Ask a professional pilot whether they’d recommend the field to others. When you’re at the end of a max duty day – or a week of them — or you’re up hours before the sun, will you still love it? I’ve met plenty of professional pilots who don’t. Some downright despise it. One can only assume that they felt differently in younger days, but the daily routine, the reality of flying for a living has thoroughly wrung the passion and joy out of it over the years. So how do you keep that flame alive? Perhaps the salve is general aviation flying. Maybe it’s writing about it, as some of us do. For me, it’s the aerobatic, experimental and instructional stuff, the mentoring and all the people I encounter along the way that keeps flying fresh. Connecting with and being surrounded by aficionados who have that gleam in their eye truly is infectious. I’ve found mentoring to be particularly rewarding because it’s not just about giving; those of us who pay it forward usually get back more than we give when helping an up-and-coming pilot. On the other hand, not everyone feels that way. I’ve met more than one airline pilot who, when asked, admitted to starting out with an undeniable passion for aviation. The years go by in a flash though, and before you know it they’re most ecstatic when crew scheduling doesn’t call. They vaguely remember that going to the airport used to be something to look forward to, and know that by this point in their adult lives they can’t make the same money in another field. But beyond the financial aspect, they’ve got no interest in aviation whatsoever. Some of these folks make an effort to re-ignite their enthusiasm for flying, but it doesn’t always take. Between the mergers and bankruptcies, some established captains will be downgraded to first officer despite decades of seniority. They’ll ride out their career in the right seat, an real-life airborne version of The Curious Case of Benjamin Button. Once the love of flying is well and truly extinguished, what is there to look forward to? Early retirement? With the ups and downs the industry has suffered over the past thirty years, if anything they’ll have to work beyond normal retirement age. Ask these pilots about a flying career and they’ll do their level best to talk anyone out of the profession unless they truly burn and yearn to fly. They’re proud of what they’ve accomplished in aviation, but to many of them it’s a past life even while they’re still living it. It’s worthwhile for those thinking about a professional career to consider that turning *any* avocation into a vocation risks the same fate. This isn’t limited to aviation. If you love to sail, play basketball, or do anything else, turning that hobby into a career can cause the passion to fade because you’re doing it 24/7. Every now and then I’ll run into Kobe Bryant at Atlantic Aviation’s FBO at John Wayne Airport. He takes a helicopter to Staples Center to save his body the wear-and-tear of driving from Orange County to Los Angeles. It always reminds me that even someone at the top of that massive pay scale probably considers what he does to be grueling work rather than fun (especially when the Lakers are playing the way they are this season, but that’s another topic). If superstar NBA players have an aviation equivalent, it’s undoubtedly the Air Force or Navy fighter pilot. It’s the brass ring, the thing that could never get boring. After all, this is Top Gun territory, right? When I was at Air Force pilot training, we had FIVE guys drop out two months into the program because they felt that flying the way the military wanted them to fly would take the fun out of it. FIVE! Anytime you do something that is both repetitive and competitive you run the risk of burn out. Let me explain what I mean by that. In the Air Force (not sure how it is in the airlines), EVERY flight is a competition. Although you are not “graded” on every flight, you are evaluated by the other pilots with whom you fly. Everyone is constantly jockeying for credibility and bragging rights. This results in working longer and longer hours and focusing more and more the type of flying you do. The atmosphere is such that many guys get tired and seek change. I don’t think there is magic resolution to this problem – I think it is very much up to the individual as to how they keep the spark alive. They may not admit it, but I know there are TONS of fighter guys who don’t like flying anymore. Does being happy about not having to work mean you’ve lost that lovin’ feeling? Not always. I’m as excited about aviation as ever, but now that I’m a full-time employee of my company rather than a contract pilot, I don’t mind when the phone doesn’t ring for a few days. It’s nice to be home with my wife, able to visit friends and enjoy the simple pleasure of sleeping in my own bed. Besides, I fill the days with other forms of flying. 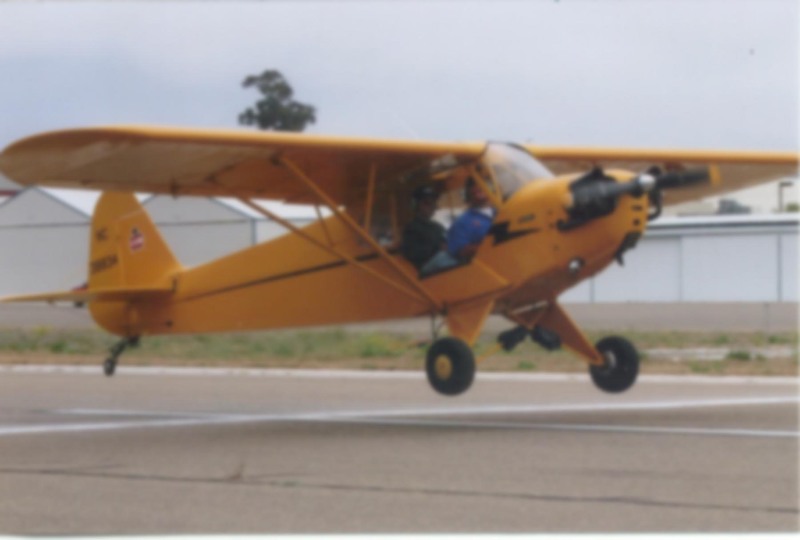 A little teaching, some writing, taking a tailwheel or aerobatic plane out for a spin. I don’t view this as a luxury; it’s a downright necessity if you want a sustainable lifestyle either at home or in the cockpit. Sometimes I think the smartest folks are the ones that say “no” to the career option. One of my best friends runs the IT department for a Fortune 500 company. He also happens to be a talented chef with a passion for cooking and many contacts in the Orange County food scene. When his employer downsized, I asked my friend if perhaps his future might be in a kitchen. He said “no” quite emphatically, explaining that if cooking was something he had to do every day, it would be joyless. The way things are now, he can make what he wants, when he wants, how he wants. The passion is pursued on his own terms, and that makes all the difference. For those of us who do fly professionally, many will admit to having some outlet that keeps the passion alive. Whether that’s building, owning, or restoring an airplane, mentoring, writing, whatever, there’s something other than our job to help keep things fresh. I’m not trying to dissuade anyone from pursuing a career in aviation. It would be hypocritical of me to do so — I’m in “the biz” and have been more than happy with my choice. But when flying moves from avocation to vocation, something must take the former’s place. We all need a play space. What’s yours? Pingback: Adventures of Cap'n Aux – SB XLIX, WOTR V, BIF & FFF! Something that needed to be said. And a good caveat for all our up n comers! I think these past few decades have been particularly brutal for our profession, starting with the 1st Gulf War, then 9/11, the Great Recession, etc. It seems we’ve been moving backwards that whole time–and as witnessed by the nasty attitudes that you often run across in the many pilot forums out there that you mentioned. The key to avoiding burnout, as with anything, I believe, is attitude. Just like that popular book says, Don’t Sweat the Small Stuff–and it’s ALL Small Stuff! Perhaps hard to do when you’re staring down the barrel of a furlough, but when your mantra is “Flying is Life”–AND it’s your livelihood as well…then your happiness becomes dependent upon the paycheck–or lack thereof. And that is the farthest thing from “the joy of flight” I can think of. Thanks, Eric! I hope you’re right about a rosy future for the next generation. My own crystal ball is a bit murky. So much of what happens is beyond our control, which can be a frustration of its own. Fuel prices, economic cycles, geopolitical factors, and many other factors directly impact our industry and jobs. This isn’t unique to aviation, but flying is one of the most highly regulated fields I can think of. Great article! This topic is something not discussed often enough. Like you said, it shouldn’t diswade anyone, but having SA on this is key. And I like what Eric said, attitude is key. An interesting and thought-provoking article Ron! Burn-out can happen to anyone. I still say you are better off to go after something you love and risk burn-out, than trudge away at something you don’t love and be burned-out anyway. True ‘dat. We all have to work. My dad once told me that the key to happiness was to find something you love to do so much that you’d gladly do it for free… then learn to do it so well that people would gladly pay you for it. I really like your dad’s wise philosophy on how to be happy in your work. Now I know why I like to read your blog. They say the apple doesn’t fall far from the tree. Thank you Bob — that’s very kind! He was an awesome guy. I miss him. I hear what you’re saying Ron, but some folks really love their work. 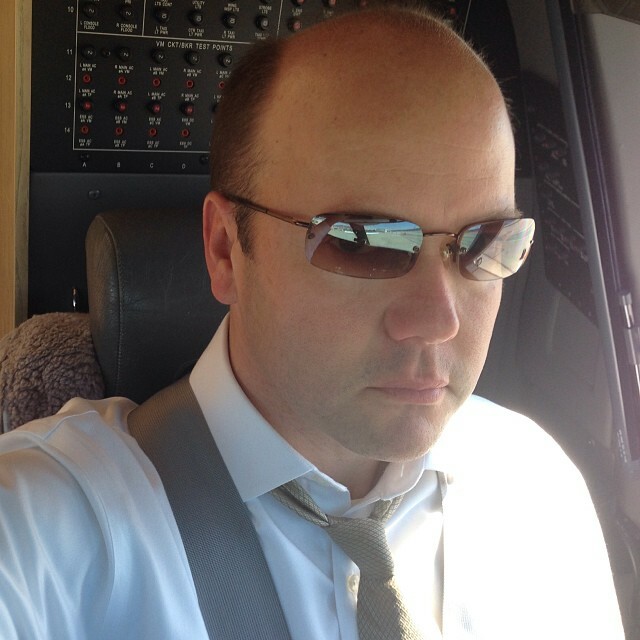 Driving an automated flying bus for the airlines does sound like it could get old. Imagine getting paid to do aerobatics (without the entertainment component); the only requirements being to do it well and to get better at it. Now there’s a job for ya! I don’t have to imagine it, Bob — I was an aerobatic instructor for quite a few years! 🙂 Helping fellow pilots become better aviators and achieve long-held goals from competition to overcoming discomfort with stalls, spins, and extreme attitudes is extraordinarily rewarding. Unfortunately it doesn’t always pay the bills, even if you’re very good at it. But I still do it and plan to keep my hand in it for just those reasons. There are so many little nooks and crannies in the aviation world. Acro is only one of them. From seaplanes to skis to rotorcraft, bush flying, cropdusting, ferrying, teaching, and a hundred other things. I used to drop millions of tiny little fruit flies of out an ex-military King Air at ridiculously low altitudes across the Los Angeles basin (read about that here). If you love adventure, there’s no shortage of it in the world of flying! Ron, Anyone who can do what they love is fortunate. And the comparison with the airline flying job to flying GA might not be a fair comparison. Because, the job is not the same as flying small planes. Yes, I know a few airline pilots who hate their jobs, (all at other airlines…yet to find one at my current company) but that has nothing to do with the job ruining their passion for flight. The airline job did not live up to their expectations, in career progression, pay, etc. It was a job. It was a career. Not a passion. The airline job is a career that at times is exhausting, and challenging and people like to complain. However, if they loved flying, they have the money to pursue that passion on their days off. Many do. But just as your friend who doesn’t want to be a cook to ruin his love of cooking… both those activities are the same. If he’s cooking all day, does he want to come home and cook some more? Obviously not. How much of a good thing can we have? But the airline job is not like that. Flying a widebody across the ocean is not like hopping into your piper cub. It’s not the same thing. And one activity should not destroy the love of the other. That would be like not wanting to become a surgeon because it would ruin your fun playing doctor. It’s not going to happen. Many pilots I know come home from the job, hit the airport and feed their soul because they love flight. If they fed their souls at work, they would not spend their money to fly GA. But they do. There are times I can hardly wait to go to work. There are other days when scheduling doesn’t call I’m ecstatic. I actually told my scheduler that I loved her because she put me on 30 hour rest that enabled me to attend a grandson’s birthday and watch the SeaHawks throw away the superbowl this weekend. There are times we don’t want to go fly. And that’s normal….with any job. Personally I think we all need to put life into perspective. Appreciate what we have. And… if you have a job you hate … I say quit and do something else. Why sell your life? Basically… if you don’t like it, fix it, or get out. But don’t whine about it. And don’t blame your job for making you hate your passion. I’m thinking after 8 airlines, layoffs, lost pension, and starting over so often, and my most recent challenges… I’m still having fun… because the job is not my life. It’s a job, and I enjoy it, and a breath of fun and adventure when I get to go fly. I’m thinking…attitude has a lot to do with this idea called happiness. Excellent post! And a great discussion going here! Very thought provoking. You asked, “Why sell your life?”. I suppose we all sell our lives to some extent. That’s what a job is: you’re trading one precious and non-renewable resource (time) for something else (money). Even if you were independently wealthy, you’d still make the trade… because you have no choice. That’s why we say “how did you spend your day?”. Because you really do SPEND it. If you are fortunate enough to enjoy your work, it makes the trade far more agreeable. And I think that’s why many people get into flying. They enjoy he activity and want to earn their living doing something they love rather than something they hate. If they’re going to be at work eight hours a day anyway, why not select a field which is fun? The reality doesn’t always mesh with that logic, and that’s where the disillusionment can set in. I’ve been fortunate and done just about every type of flying: GA, Aerobatics, Fighters, Naval Aviation, Test, Cargo and Airline (Domestic+International). I have often been asked if I still love flying and answered it in my last post. I can honestly say I have been burnt out in every type of flying except fighters. I distinctly remember flying out over the Pacific, wings level, cruising at 300 knots. I looked left and right from the cockpit of the F-4, I was all alone in the mighty Phantom. I said to myself- “They are not going to let me do this much longer…”. I retired less than a year later. I still miss it. By contrast I look forward to retiring from the airlines, the daily grind as you get older dulls the “glamour”. But I still love flying; I look forward to devoting my time to writing more aviation based novels and flying for fun. While I will never be able to afford flying a jet fighter again, I see a Nanching CJ-6 trainer on the horizon! It sounds like the variety in your career has been key to retaining your love of flying. If you had been a cargo or airline guy for your entire career, perhaps you’d feel less enamored with aviation in general rather than just the Part 121 stuff. The CJ-6 will definitely keep you going. Next stop: Red Star Pilots Association! Not only is the Nanchang a fun airplane, but the simple freedom to fly what, when, where, and how you want makes all the difference in the world. With your background, I’m sure you’ll be a valued asset to the CJ-6 community. This post reminded me of Mike Rowe’s comments on getting a job. http://www.theblaze.com/stories/2014/05/02/mike-rowe-offers-a-fan-some-of-the-greatest-career-advice-youll-ever-hear/. The line that hits home is “It [happiness] comes from knowing what you truly value, and behaving in a way that’s consistent with those beliefs. Your friend who won’t become a professional chef seems to know what he values and you do too. Maybe those other folks don’t and it isn’t just an aviator issue. You’re right — it’s not just an aviator issue. I thought it worth mentioning because most people go into aviation expecting it to be fun, cool, adventurous, exciting, etc. It can be all those things, of course. But as Mike Rowe noted, they call it “work” for a reason! Great advice from that link, by the way; thanks for sharing it. Ron, I think you nailed it. I fly with a few folks who have forgotten what an amazing job we have. Like you said, it’s an EASY trap to fall into (I’ve been there). I don’t do any GA flying during my time off. I have all sorts of oddball hobbies, plus a large family that keeps me busy when I’m home. Thanks Ken. It IS an amazing job, isn’t it? Talking to people with “normal” office careers definitely puts things in perspective. Sitting in a cubicle under fluorescent lights all day — I did that for a few months after college at a mortgage company. Never again. I hated every single minute of it. To me, flying is magic. I actually decided NOT to pursue a career in Airline pilot because I had a feeling I would either be a one trick pony, or it will lose its magic. I DO want to do flying as a career and I want to exceed and excel in it but I have had many many roadblocks to the contrary. Still, I don’t give up. I was the kid, and still am who would spend an entire day at the airport fence just wishing I was on the other side. I still take my scanner (now we have an app for that) to the field and listen to ATC and just hang out. When I was young I would wash planes in exchange for rides. I love flying. I want to be a part of it. Its frustrating to work in the bank knowing I could be flying, but I am trying to overcome the roadblocks.